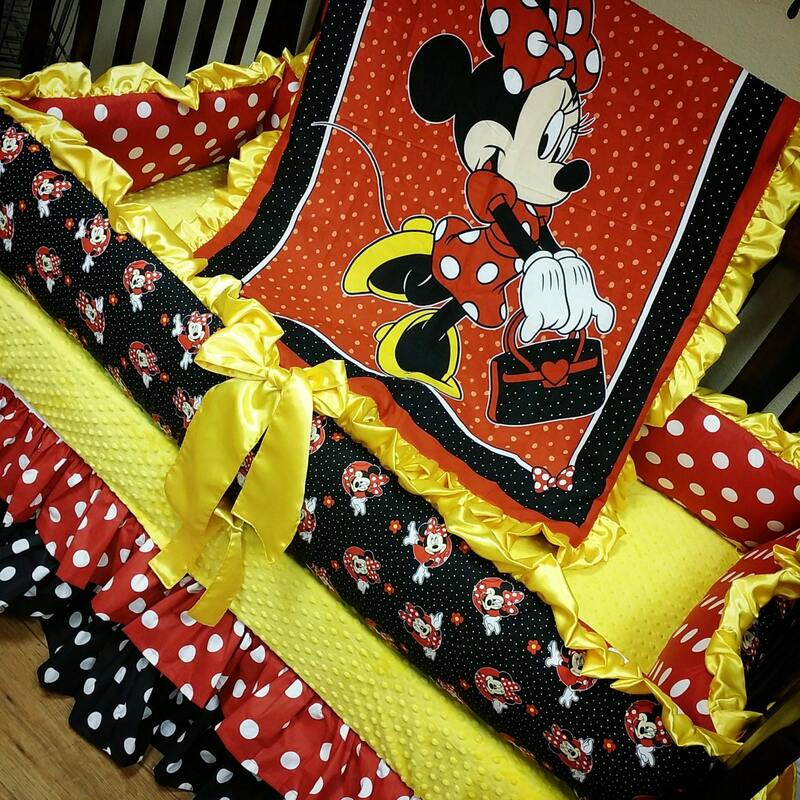 Minnie Mouse, Crib Set. You design. Several Colors Available. Cotton Crib Sheet - yellow minky dot included. I just received my bedding and it’s perfect!!! I love it! Absolutely worth the time it takes to make it! Beautiful work. 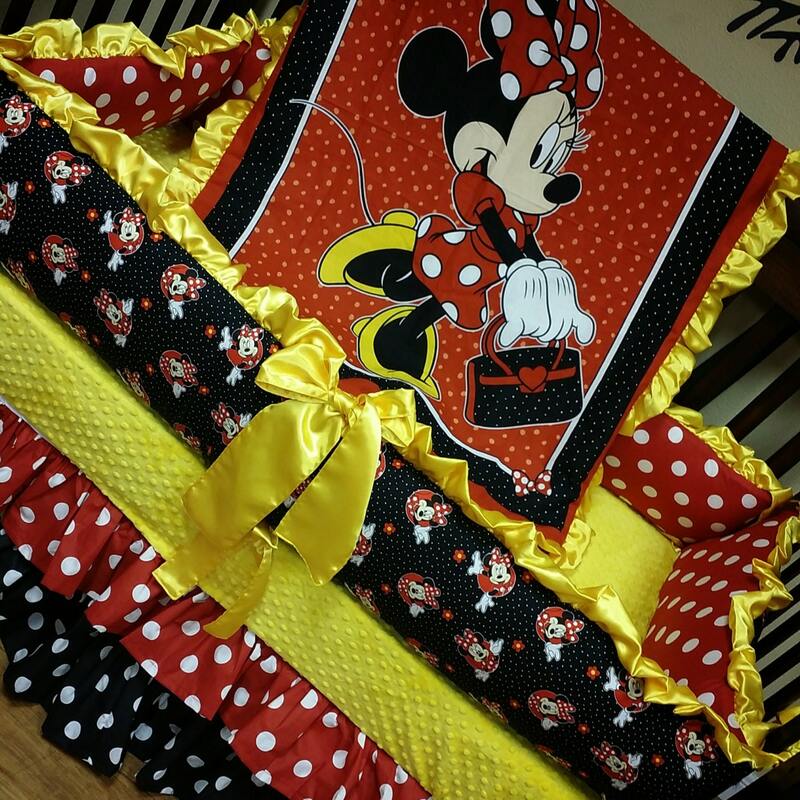 I love this bedding!! It's beautiful in my baby's nursery and really stands out and brings it all together. The only thing I didn't like was that I noticed some black stains/smudges on the yellow silky ribbons used for tying the bumper to the crib, which is very noticeable. Other than that, I'm very satisfied with the quality of the material and the customer service I have received. She was very prompt in responding to any questions I had and always had an accurate answer. She has in her policy that items ship in 3-4 weeks and she was right on target with that. Even though I consider this purchase an expensive one, I definitely believe it was worth it for what I received.